On 18 February Busaba Eathai will celebrate their 15th birthday by opening their new flagship store in the heart of Shoreditch, London. The modern Thai eatery’s twelfth branch will open its doors on Bethnal Green Road for service at midday, boasting a ‘creative and regularly changing’ menu from Executive Chef Jude Sangsida. New Busaba Shoreditch location. Source: Sauce Communications. Busaba regulars needn’t fear, as classics including Thai calamari and sen chan pad thai will remain on the menu alongside newer dishes, like Thai roti wraps and chilli beef rice. Dishes at Busaba. Source: Sauce Communications. 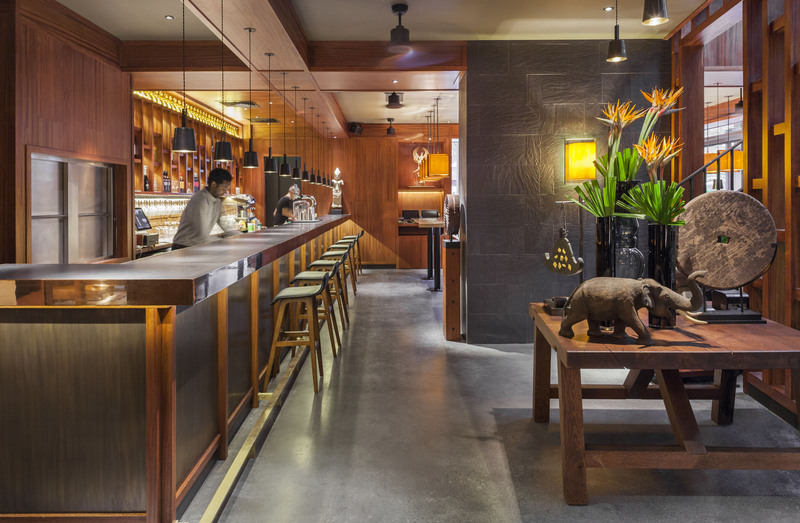 A unique feature to the Busaba Shoreditch branch will be the new Thai Kinnaree Bar (pron. Khin-NAH-rah). 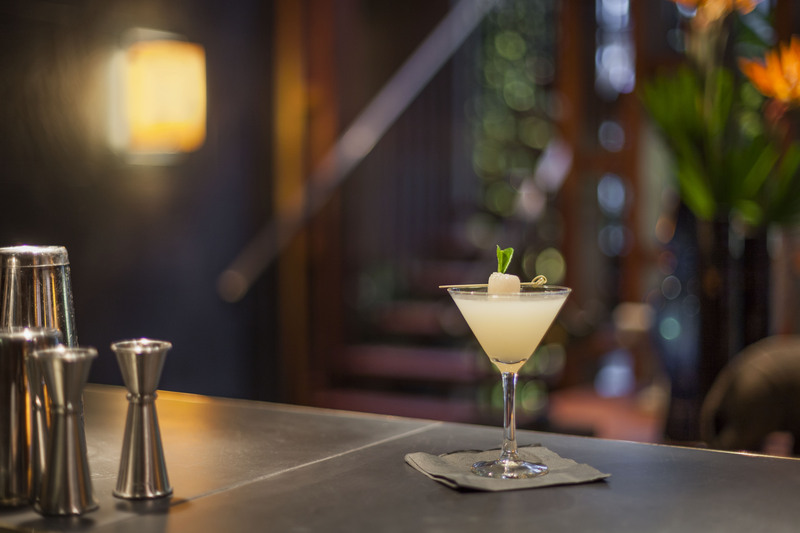 During the week the bar will host diners for lunch, with a number of new Thai-inspired cocktail offerings. On Friday and Saturday nights visitors can expect to hear music from the resident Hoxton Radio DJs. Thai inspired cocktail at Busaba. Source: Sauce Communications. 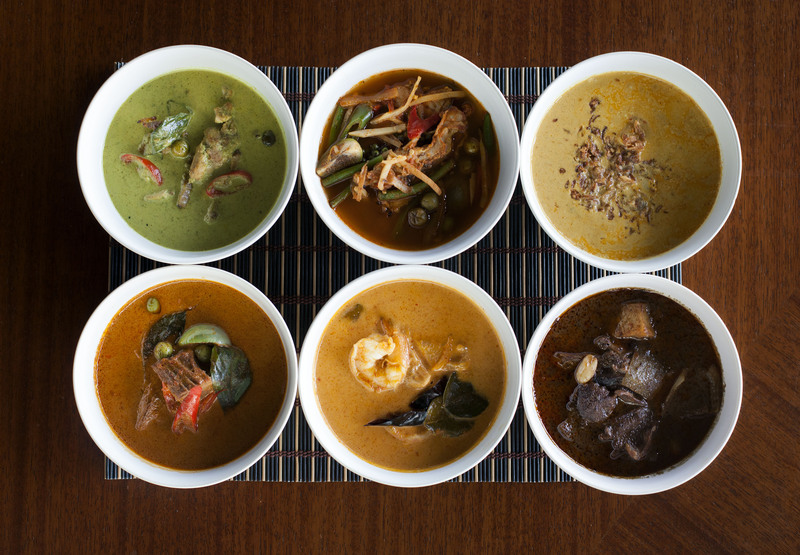 As part of their fifteenth birthday, Busaba Eathai will be hosting 6-weeks of free Sookjai (‘happy heart’) events. Yoga sessions, meditation classes and wellbeing talks will all be included. For more information, or to make a booking, visit: www.busaba.com. This article was featured in TMRW Magazine. Read the online version here.